There's no denying that it can be difficult to assemble an interview ensemble. Your interview attire, however, should be picked out thoughtfully. 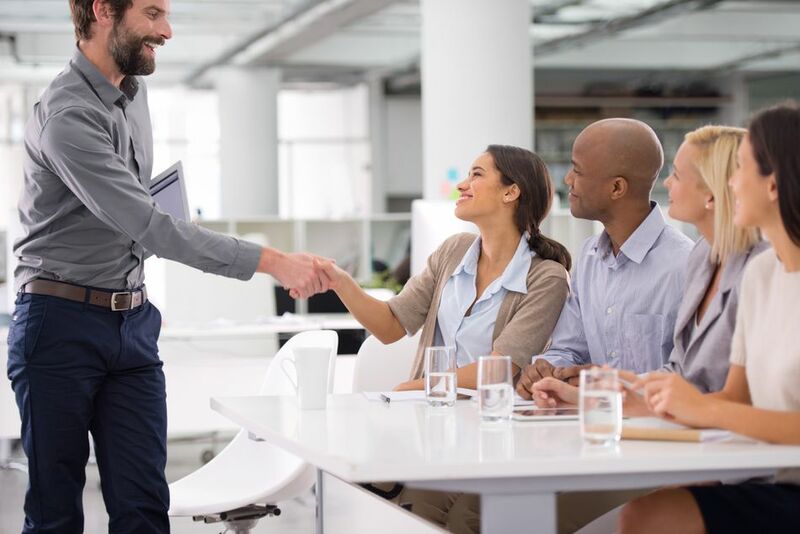 After all, first impressions are key, and it's imperative to make a great first impression on your potential employer. A huge part of making a good first impression is dressing for success. Here's interview attire for men, that will help you make the best impact on a prospective employer. Don't worry, you don't have to spend a lot of money or pour through fashion magazines to figure out what to wear to your interview. Fortunately, men's fashion is relatively straightforward. Using a few basic pieces, it's easy to put together an outfit that is stylish, professional, and tasteful. When you finally land that interview, you may not know the company's dress code before your arrival. While interviews at startup companies or for non-professional jobs signify a more casual look, if you're interviewing for a professional position, it's important that you stick with a formal look. Of course, even within the "business formal" category, there's a huge range of different dress codes. A formal look like this one is professional but doesn't look "stuffy" or uptight, making it a good choice for all types of interviews. This man's gray suit, with a colorful button-down and sweater underneath, gives him a look is modern and stylish but still work-place appropriate. Not sure if the company you're interviewing at requires a business casual, or business formal type of dress? Find the middle ground with a light-colored or khaki blazer and coordinating pants. A khaki blazer is less harsh than a black or grey suit coat. It's a great piece because it straddles the boundary between business casual and business formal. Worn with a tie, it is a bit more business formal. Worn without a tie, it's a solid option for when you aren't quite sure of the dress code. Layer a sweater with a button down for the most dependable business casual look. Neutral colors like brown, black, and navy are good choices, as they match many different shirt colors, including light blue, pink, yellow, green, or the white button-down shirt here. Pair the layered top with khakis, grey chinos or even dark wash jeans (in a less formal environment, such as at a startup company) for an easy interview outfit. A navy blue blazer is a breath of fresh air from the typical black suit coat and is a great addition to your interviewing wardrobe. A navy blue blazer can be worn with a tie, or without, depending on the dress code. It matches numerous shirt colors and can be worn with khakis, chinos or grey slacks. Essentially, there's a lot of flexibility packed into this one item, so you'll get a lot of mileage out of it. Navy blue blazers add a touch of class for a look that is timeless, yet always professional. Ties don't have to be boring. Although you should avoid anything too flashy, such as "novelty" ties with bizarre prints, don't be afraid to experiment with unexpected colors - like the blue tie here, for example. A "statement" tie like one of these works well with a button down sans blazer, which can be a good choice in a dressier business casual environment. Coordinate your tie with an interesting button down for a look that is sophisticated and stylish. Use tact when choosing your button down, though. In a strict formal dress code, stick to classic colors with subdued prints, like a blue stripe, for example. You have some more flexibility in a more casual environment, especially considering bold button downs don't need a tie to dress them up. Ultimately, don't be afraid to experiment. Figure out what works for you, but make sure the shirt complements your look without overshadowing your personality. Are you interviewing at a company with a business formal dress code, but you're tired of the same-old black suit, white shirt, and basic tie? Fortunately, if you use discretion in coordinating your outfit, your business formal suit doesn't have to be stagnant and boring. Work with colors that are modest but still eye-catching, like this light-blue patterned tie that matches a striped shirt. It adds a touch of urban sophistication without sacrificing professionalism. Finally, a grey suit coat and pants still lend to a formal look, yet is more modern than the dreary black suit. Adding texture to your outfit lends an instant sense of class, sophistication, and style to an otherwise ordinary ensemble. A textured blazer, like the tweed one here, dresses up a button down and slacks without looking stuffy or uptight. A corduroy blazer accomplishes the same thing. Pair the blazer with a tie for a more formal environment, or lose the tie for a look that is relaxed but professional. A pristine button down, grey or black slacks, and​ coordinating tie is a staple ensemble that works in nearly any office environment. It's also an easy look to throw together. All you have to do is choose a tie, and you're ready to go. With the rest of the outfit so simple, you have some leeway to choose a patterned tie, which will stand as the centerpiece of the outfit. Because it's a simple look, though, it's important to make sure that each piece of your outfit is in good condition, and fits well. Make sure your button down is wrinkle-free (and clean!) and take the extra effort to ensure that your slacks are pressed and pleated. There are some things you should never wear to a job interview if you want to make a good impression. Here's what not to wear when you are interviewing for a new job. What Can You Do When You Can't Afford an Interview Suit?